Founded in 1932, the North Carolina Symphony (NCS) is a vital and honored component of North Carolina’s cultural life. Its 175 concerts and events annually are greeted with enthusiasm by adults and schoolchildren in more than 90 North Carolina counties—in communities large and small, and in concert halls, auditoriums, gymnasiums, restaurants, clubs, and outdoor settings. The Symphony’s 66 full-time professional musicians perform under the artistic leadership of Music Director Grant Llewellyn. NCS’s state headquarters venue is the spectacular Meymandi Concert Hall at the Duke Energy Center for the Performing Arts in downtown Raleigh. The Symphony’s service across the state includes series in Chapel Hill, Fayetteville, New Bern, Southern Pines, and Wilmington, as well as the Summerfest series at its summer home, the outdoor Koka Booth Amphitheatre in Cary. Collaborating with performers that range from classical artists, to banjo players, to jazz bands, NCS brings some of the world’s greatest talents to North Carolina. Committed to engaging students of all ages across North Carolina, NCS leads the most extensive education program of any U.S. orchestra. In alignment with the curriculum set by the North Carolina Department of Public Instruction, the Symphony provides training and resources for teachers, sends small ensembles into classrooms, and presents full-orchestra Education Concerts experienced by more than 55,000 4th and 5th graders each year. Music Discovery for preschoolers combines music with storytelling, and at the middle and high school levels, students have opportunities to work directly with NCS artists and perform for NCS audiences. NCS is dedicated to giving voice to new art, and has presented 47 U.S. or world premieres in its history. In March 2017, NCS appeared at The John F. Kennedy Center for the Performing Arts in Washington, D.C., as one of four orchestras chosen for the inaugural year of SHIFT: A Festival of American Orchestras—an honor that recognized the Symphony’s innovative community partnerships and creative programming that inspires increased interest in new music. 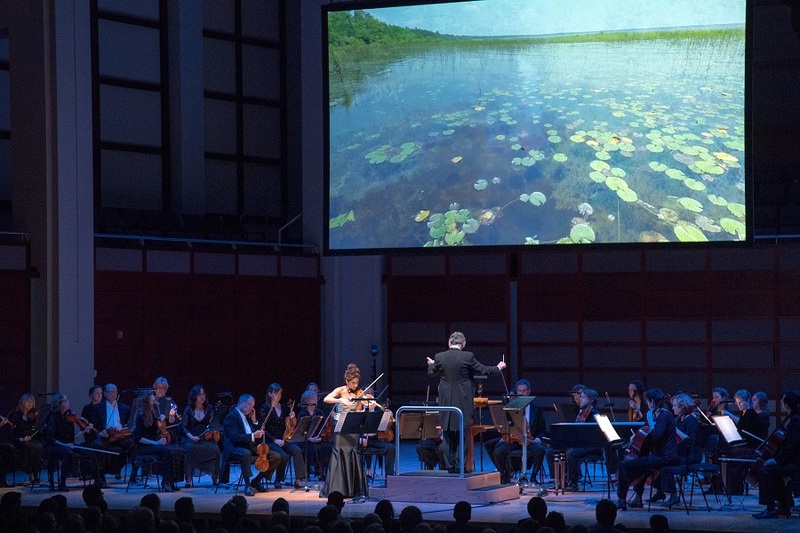 The first state-supported symphony in the country, NCS performs under the auspices of the North Carolina Department of Natural and Cultural Resources.